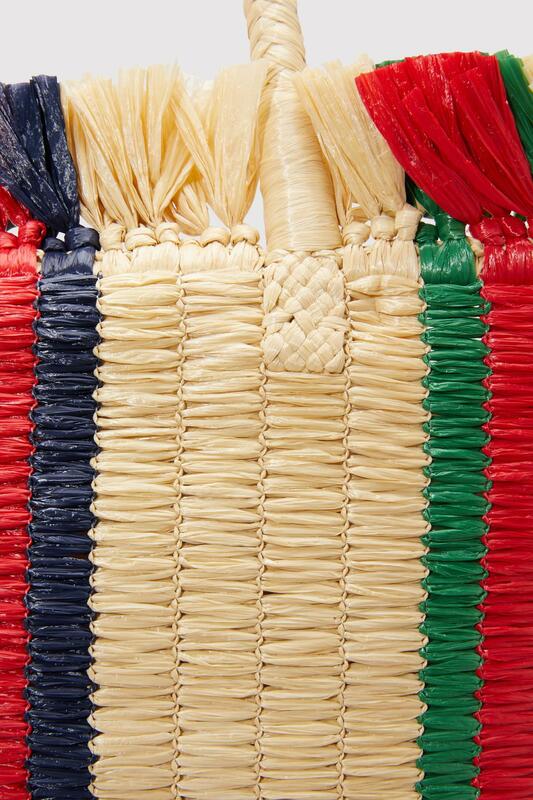 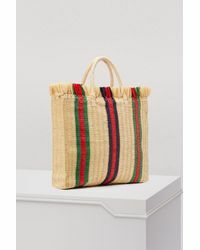 See more Gucci Totes and shopper bags. 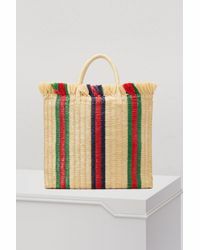 We check over 450 stores daily and we last saw this product for $1,561 at 24 Sèvres. 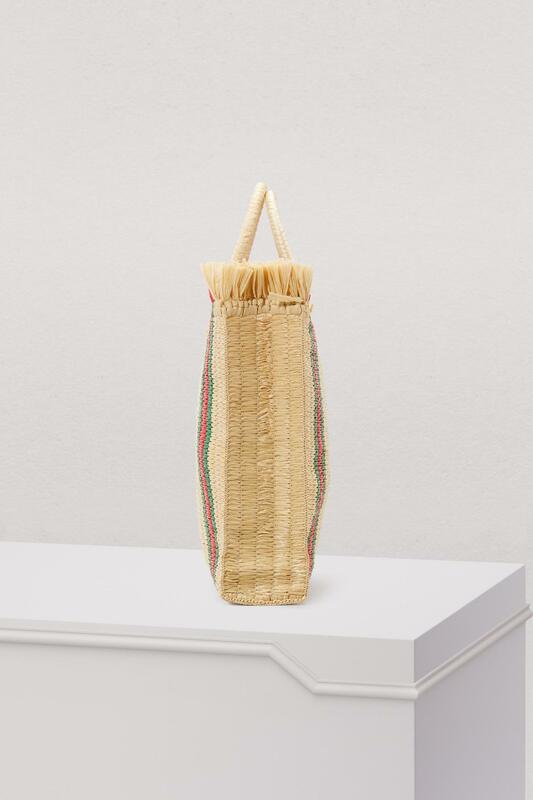 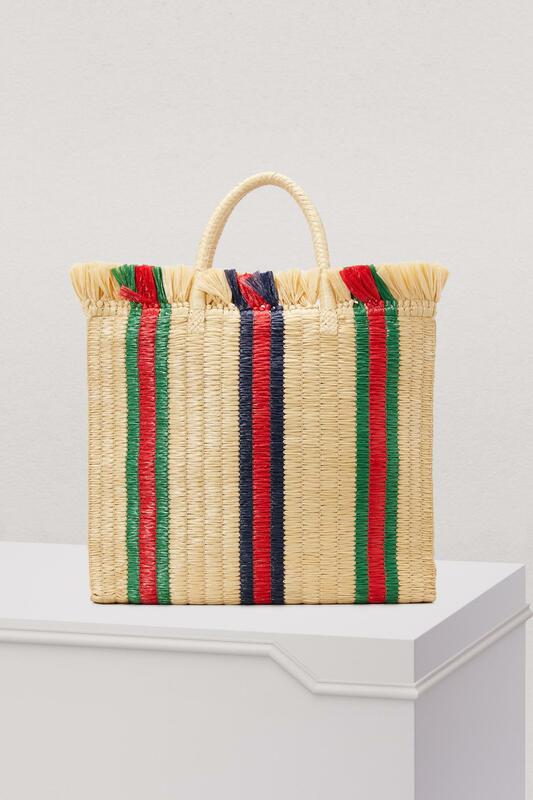 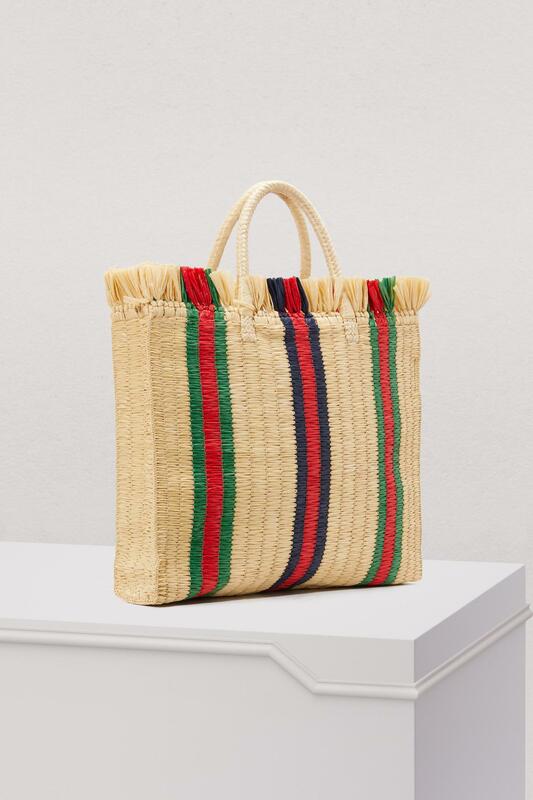 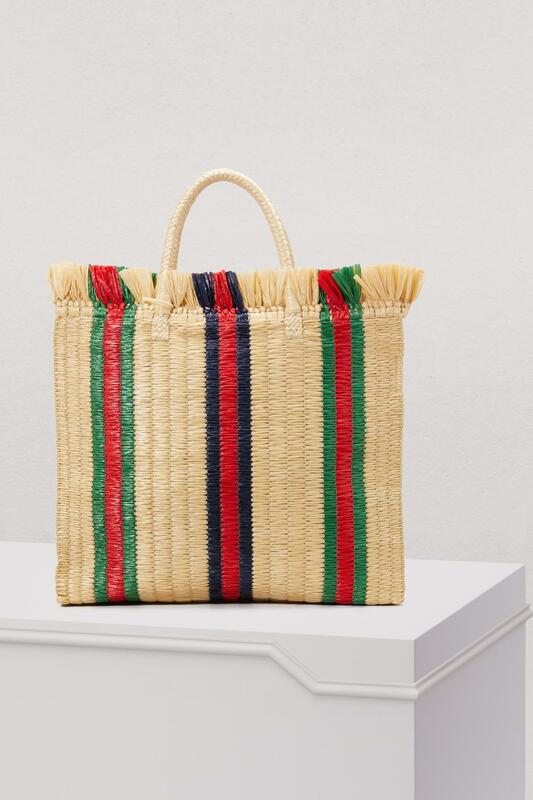 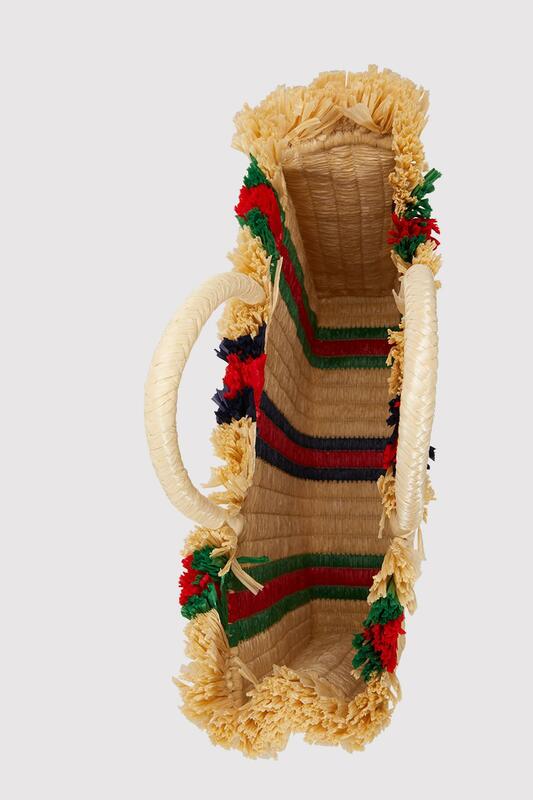 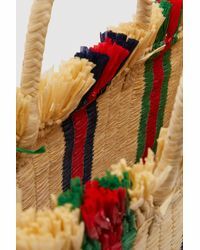 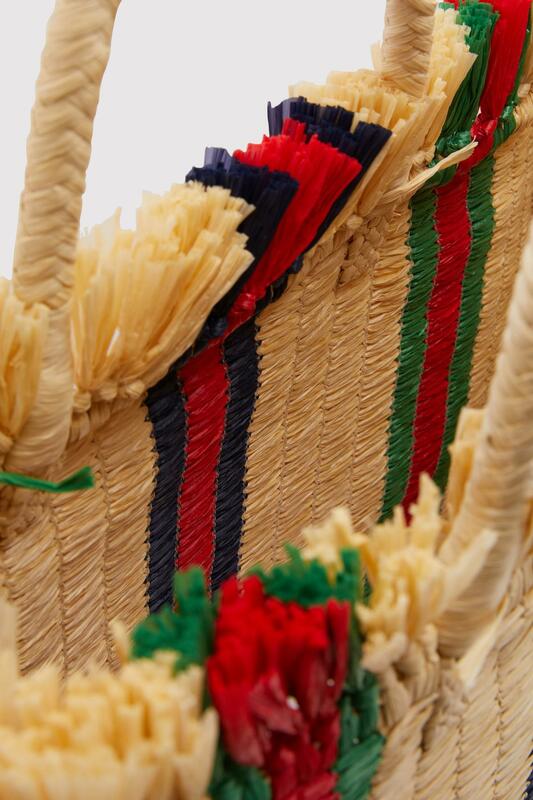 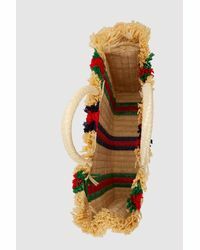 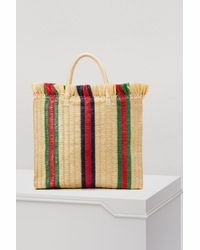 The straw bag is renewed with originality in the hands of Alessandro Michele for Gucci, and this Cestino straw tote bag is a refreshing version. 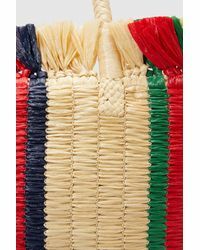 The fringed edges give it a touch of retro style and the web bands give it an instantly recognizable signature finish. 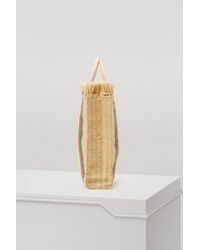 It will be your companion for walks, weekends, or going to work on a sunny day.